Single Post Fixed Storage Lift, A Powerful Space Saver! As you can probably tell, we take variety pretty seriously. Everyone should have access to a lift type that’s right for them, and always at the highest standard of quality. This is what we’re all about, so if 4 or 2 post models don’t suit your needs, perhaps a single post lift is the way to go. The first thing you’ll notice about a single post lift is just how compact it is, thanks to the fact that its frame-engaging arms are raised and supported through the work of just one column. Don’t let the size fool you, however. A high-quality single post lift can support a solid 6000 lbs, making them perfect for sedans and other similar car types. Just like any 2 post lift, there are plenty of single post models that offer full access to the wheels and underside of a vehicle. Anyone who sees one in action may be in disbelief of how it does such heavy lifting while taking up so little space, but it’s no trick. These are just as sturdy as any other lift! While many single post lifts are designed with repair and maintenance in mind, their design also makes them ideal for storage. 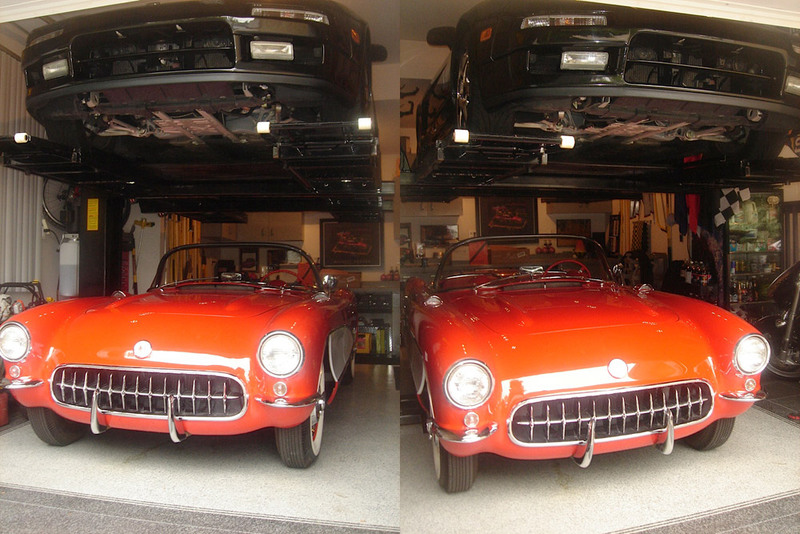 This means that whether you plan on using it for auto work or you’re a hobbyist who needs a solution to store and show off your prized classic cars, there’s a model that will suit you perfectly. Our P6000, for example, utilizes frame-engaging arms to provide optimum access, whereas our well-loved PK6000 is popular among car collectors who simply need to get their vehicles safely stored with as little space occupied as possible. 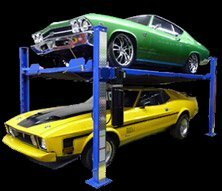 Why are our single post lifts so perfect for the car lover’s home garage? Quite simply, in many residential circumstances a customer will be unable to permanently install a floor-mounted lift, or one that takes up too much room. Beyond that, portability is frequently essential, as the ability to move or remove the lift allows the kind of dynamic solution that a home setup needs. Last but not least, affordability is everything. This combination of economizing space and flexibility without breaking the bank is a winning formula, whether in a home garage or a professional one! Big or small, what matters most is finding the lift that applies to your needs without overshooting your budget or ending up with a sub-par product. Lift King has an eye for quality and a passion for variety, so take a look at our single post options today. Your ideal lift is waiting for you!